The post-rock genre is one that seems to be under scrutiny by various bands, including those who seem to use the genre, but also on where some incredible bands display incredible instrumentals. Whilst some bands dismiss the label itself, it seems to just be a simple way of categorizing bands who create instrumental rock music, though perhaps the term ‘instrumental rock music’ is more appropriate at times. It is a genre that is to an extent, not as well known as others, though one that features some of the most extraordinary instrumentals that can be heard. The Shaking Sensations’ second studio album ‘Start Stop Worrying’ is one that indulges brilliantly in the genre, showcasing the bands understanding of the conventions of instrumental rock music in terms of performance and presentation. On ‘Start Stop Worrying’, The Shaking Sensations offer a true performance, showcasing their brilliant talents as an instrumental rock band. The album begins brilliantly, indulging in quiet moments that slowly build up until it crashes in with incredible crescendos. It encompasses the many conventions of post-rock music, though it is pulled off brilliantly by The Shaking Sensations. There’s a wonderful diversity to ‘Start Stop Worrying’, as the various tracks all demonstrate various levels of intensity. Tracks move in and around quiet moments and loud crashing moments, giving the album a brilliant shape as it progresses along its story. The Shaking Sensations have many elements that work for them, with their lengthy instrumental tracks exuding brilliant ideas and concepts, all of which is told through the power of the instrumentals, and the names of the tracks themselves. The main problem of the post-rock genre is that it is very hard for bands working within the genre to really set themselves apart from others. Many bands seem to produce the same style of sound, with there being very little difference between each band in question. It is arguably a limitation of the genre itself, as vocals seem to form part of the identity of a band, which is absent in the genre. The Shaking Sensations seem to fall into the trap themselves, but what they have going for them is their pure energy and brilliant talents as musicians which presents their album brilliantly. Whilst it is arguable that The Shaking Sensations might not have set themselves apart from such post-rock bands as Explosions In The Sky or Mogwai, they still have a lot working for them as a band, and are certainly worthy of some recognition. ‘Start Stop Worrying’ is a worthy post-rock album, and one that is certainly a cut-above the average post-rock album. There’s a phenomenal force behind the album, which pushes it along at a brilliant pace that speeds up and slows down. It certainly showcases the bands talents as a post-rock band in brilliant style. Each song works brilliantly on the album, with there really being no truly weak moments that ruin the overall album itself. Each song fits well on the overall shape and character of the album itself, which all compliment each other and flow well. It certainly suggests brilliant things to come of The Shaking Sensations, and more brilliant material to come from them in the future. Channeling music from incredibly dark recesses, Ascetic: introduce themselves to the music scene with their incredibly harrowing and visceral debut album ‘Self Initiation’. Producing a sound that falls somewhere in-between Joy Division, and perhaps the more modern band The Twilight Sad, Ascetic:’s debut album is one that utilizes intriguing guitar hooks, combined with driving bass guitars and other fairly common indie-rock styles, all of which are driven along by the incredibly dark vocal talents of the band’s lead singer. Their debut album ‘Self Initiation’ is one that indulges in themes of sickness, isolation and disassociation. It is a brilliant debut effort that shows off the band’s talents in perfect style, as well as showing off their specific sound. On ‘Self Initiation’, Ascetic: pull out all the stops, with their debut release pounding everything into submission as it delves deep into dark harrowing themes. The album conjures up brilliant ideas in the mind as it progresses from track to track, which vary from time to time. Each song seems to indulge in some incredibly dark themes, which just push along slowly, building up to incredible crescendos. Everything sounds incredibly unhappy at times, which is the essence of the music itself, giving it the appeal that attracts people to the band itself. There’s some brilliant song-writing talents at work here, with the band not falling into the traps of producing the same similar sound to every other band out there, and instead channeling their own influences as a band and melding it all together until it becomes the sound that they are establishing as their own. There’s many comparisons to be made to other bands, though Ascetic:’s sound seems like their own, showing their creativity as a unit, and their drive to actually be a band that is coming across as different in the music scene. There’s many elements that work on ‘Self Initiation’ which is simply a stunning debut album. As the album progresses, it seems to demonstrate more strengths, with there being very few weak moments on the album. 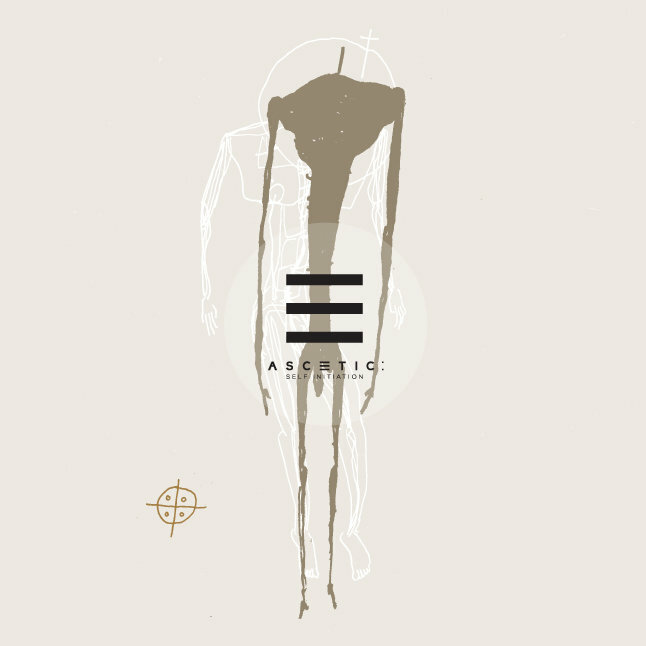 As a band, Ascetic: are only marred by a slight noticeable fact that as their album progresses, it does also demonstrate certain repetitive elements, where specific moments on some of the songs seem to be repeated. From the first impressions the band are giving off, it seems that it is more forgivable in their case, as it seems they’ll progress more and more as the years go on, and thus iron out these problems. At the moment, it isn’t enough to completely destroy or ruin the overall album experience, though it is perhaps an area that the band needs to look at if they are to progress as a band in the future. Ascetic: though have produced what is a stunning debut album, and one that fans of unhappy music would certainly find a lot to enjoy from. The dark driving elements pulsate brilliantly from each song, with the themes coming through brilliantly in terms of the sheer sound being produced by the band. Ascetic: come across as a band that channel lots of themes and influences from various bands, and pay homage to them whilst making their own sound seem like their own. There’s many elements on ‘Self Initiation’ that have been showcased brilliantly by Ascetic:, and certainly suggests great things to come of them in the future. They are definitely on the right track, which in this genre of music is incredibly refreshing to see. Beginning with the band’s debut release ‘Biggest Bluest Hi-Fi’, which was released back in 2001, and continuing right up to the present day, Camera Obscura have remained one of the leading bands in the indie-pop genre. Exuding dreamy melodies which accompany equally dreamy lyrics, Camera Obscura have an incredible amount of appeal which all comes down to their sound produced as a band. Their latest album delves straight into what they, as a band, know best, and feature once again, dreamy tracks that float merrily along lovely-sounding guitar lines and driving drum beats that never pound the songs into submission. It is a style that many bands working in the indie-genre seem to attempt to do, though one that few bands really manage to make work. Camera Obscura demonstrate once again their brilliant understanding of musical composition, with their latest album ‘Desire Lines’ simply being one of their best albums in their career so far. It is the perfect companion to their previous four albums, with the sound not deviating so radically from their older albums, and instead working almost like a continuing follow-up to their previous work. Few bands seem to really make one specific style of sound work for them constantly in their career, and thus it is remarkable how Camera Obscura have been able to make their dreamy melodies work every single time with every single one of their albums. ‘Desire Lines’ is very much a typical Camera Obscura record, with it being much of the same kind of style we’ve come to expect of the band. Though considering how dreamy and wonderful the music makes us feel, it is something we can easily forgive Camera Obscura for, as it is simply something that works for them, without it coming across as lazy or unimaginative. ‘Desire Lines’ features brilliant songs that flow incredibly well into each other, with the instrumentals accompanying the dreamy vocals wonderfully. It is arguably one of Camera Obscura’s best albums so far,and easily one of their best complete album packages so far. There’s simply many elements to ‘Desire Lines’ that works well, though it can be seen as a huge drawback, the fact that Camera Obscura haven’t really demonstrated anything truly new on their latest album. It gives off the sense that Camera Obscura’s music has to be taken with a pinch of salt, as every album sounds similar in many ways. This might polarize some fans of Camera Obscura, as there may be the odd person or so who is waiting for Camera Obscura to drive out something that is new and unexpected of them. The same fans may argue that the band are one of the few who aren’t really trying to advance in their careers, and are simply playing it safe by producing the same sounding material over and over again. ‘Desire Lines’ though, is easily one of Camera Obscura’s best albums to date. The similar sounding material is something that can be forgiven in the band’s case, as their sound is one that simply works for them, and sets them aside from many bands working within the genre, as it simply comes across as honest and full of integrity. There’s many elements to Camera Obscura as a band that simply works, even when it really shouldn’t. On ‘Desire Lines’, the band demonstrate what is perhaps some of their best material so far, with the album featuring brilliant song after brilliant song. It is a brilliant album that fits in wonderfully with the band’s discography. Camera Obscura’s fifth studio album ‘Desire Lines’ is set for release on 3rd June 2013. Side-projects can at times, show certain musicians truly indulging in musical styles that aren’t sometimes associated with them. Even solo projects offer this, and it seems that the main purpose of a side-project is to allow artists to express themselves in a way that can be conveyed with the band they’re a part of. In the case of Plastic Visions, musician Brad Shultz of Cage The Elephant, steps into the forefront with his debut release by his new band project, allowing himself to indulge in musical styles that Cage The Elephant was perhaps preventing him from doing. It seems though, in the case of Plastic Visions, and their self-titled debut EP release, that Shultz has created a project, that manages to completely fall flat, offering nothing interesting or impressive. Cage The Elephant seems to be one of those bands where there’s enjoyable elements, with their music featuring some really pumped up and almost comedic indie-rock anthems. It seems Plastic Visions have gone down the exact same route, suggesting that Shultz simply wants to just do the same thing, but in his own way. It’s understandable in some ways, but the result on their debut EP is a garbled mess that fails to deliver on anything that is truly interesting. Everything seems pumped up to the nth degree, without it ever really going anywhere. It’s almost boring, with everything just coming across as uninspiring. With this being Brad Shultz’ project, independent from anything he has had ties to in the past, why has he opted for the easy option of producing a sound which is in many ways identical to many other bands out there? The EP release for Plastic Visions works as the first impressions of this new band, but the first impressions are incredibly poor based on the sound being produced by the band. There is very little being offered here, making Plastic Visions a bad unworthy of any recognition. ‘Plastic Visions’ is an incredibly forgettable EP release, that fails to really serve any kind of purpose. It comes across as an incredibly self-indulgent piece of work that doesn’t offer anything that is really worth listening to, making it an incredibly poor debut release. It is hard to even work out at this point whether a full-album release will even be something worth keeping an eye on. From the first impressions based on the debut EP, it seems to suggest that a full-album release would simply be an even more indulgent piece of work, parading around thrashy guitar elements and raging vocals that amount to incredibly little. ‘Plastic Visions’ is simply a poor EP release, that suggests nothing interesting from this new band. Tricky’s debut album ‘Maxinquaye’, released back in 1995 was a stunning debut album that pushed Tricky forward as one of the leading performers in the trip-hop genre. Employing a mixture of slow-grooves, with driving bass-lines and electronic elements, all combined with Tricky’s half-sung/half-spoken vocals, it all established what was expected to be the brilliant sound of his music. It seems Tricky though started off too big too soon, as nearly all of his following albums have severely under-delivered, in terms of living up to the standard that ‘Maxinquaye’ established. Whilst Tricky has certainly displayed innovation and creativity, it seems he’s never been able to deliver an album as strong as his debut release. For his 10th studio album ‘False Idols’, Tricky himself has stated that his latest work is a return to his roots, and thus a return to the sound that was more-or-less lacking on many of his previous albums. Many of Tricky’s albums have shown some interesting and creative ideas. Each of his albums have always sound brilliantly produced, containing fantastic instrumentals that push along the various albums. However, it seemed the albums fail on sounding like complete album packages. Excluding Tricky’s debut albums, many of his previous works have sounded scrappy in places, with many songs being forgettable and weak. On ‘False Idols’, Tricky addresses many of his problems he’s encountered with his previous works and delivers his best album in many years. Tricky’s return to his roots is one that should have been done a long time ago, though it is better late than never. ‘False Idols’ is follow-up album to ‘Maxinquaye’ that should have been received, with the brilliant instrumentals slyly creeping up in the various songs, pushing forward various feelings ranging from ominous tracks to brilliantly chilled out ones. There’s some wonderful elements to ‘False Idols’ that works, and it is certainly one of Tricky’s best albums he’s released so far in his career. ‘False Idols’ though is let down by an incredibly shaky start. It takes a fair amount of time for the album to really get into itself, by which time a fair number of songs have actually passed. The opening tracks of the album don’t seem to reach the heights required to make it a great album, though a great number of songs that appear later in the album do just that. The shaky start lets down the album, though it is remarkable how much it manages to redeem itself when it delves deep into its element. The many strengths of the album aren’t apparent at first, which is arguably one of the elements ‘Maxinquaye’ established. ‘False Idols’ is easily Tricky’s best album in years. It is one of his few albums that feels like a complete album package, with only the rocky start being the only let down of the album experience. A great number of the songs work well to present an overall album experience, which has always been a problem with most of Tricky’s albums. There’s some wonderful trip-hop elements present on the album, making it one of the better trip-hop albums to have been produced in recent years. It seems Tricky is finally on the track that he should have been on already, and has now finally started producing the music people have wanted to hear from him. It’s about time! Tricky’s 10th studio album ‘False Idols’ is set for release on the 28th May 2013. As the title seemingly suggests, American rock band 30 Seconds To Mars, delve deep into some ‘important’ ideas, utilizing their sound to explore themes of… well, ‘Love, Lust, Faith + Dreams’. Their latest album has been described by the band as being a concept album, with the album split up into four parts that each explore… well, ‘Love, Lust, Faith + Dreams’. On their new album, 30 Seconds To Mars once again demonstrate a fair understanding of glamorous and flashy rock music, with their latest album containing many elements of their previous work, whilst being a step forward in the direction of more flashy music, utilizing the use of synth and electronic elements. The result is an album that has been designed to be listened too as a whole, though one that seems to fall flat at many hurdles. 30 Seconds To Mars have always been a band that needs to be taken with a pinch of salt. The band have utilized many elements in their music that can easily be deemed as cliched and contrived. Each album the band releases seems to include new elements that is purely based on the current trends in the music industry at the time. That being said, the band still have produced some brilliant songs over the course of their career that work incredibly well, and work all the elements together. On their latest album, the band seem to delve into some electronic elements, which many bands seem to be doing these days. However, 30 Seconds To Mars haven’t gone so far as to ruin their old sound by completely replacing it, and instead have simply included elements which compliment the sound they’ve established. At times, it works well on their album, which shows the band is at least trying to use new ideas to create (what is in their eyes) as better music. There’s times on ‘Love, Lust, Faith + Dreams’ where the elements all come together brilliantly, featuring some well written songs. The album itself is one that contains varying shifts in dynamics that range from loud roaring rock numbers to down-played and gentle ones. As the album traverses each of it’s four themes, the music changes for each style, making a concept album that has had a fair amount of thought put into it. There’s some elements that work on ‘Love, Lust, Faith + Dreams’, and it’s admirable that the band are at least trying to attempt new things and advance their sound in a way that works for them. Their latest album though seems to flop at many moments, with it never quite reaching the heights that the band have wished for. A lot of elements on the album come across as cheesy or just contrived, and it just doesn’t work well for the band at all. There’s many tracks on the album that just sound annoying and frustrating, with the instrumentals sounding weak and never quite sounding exactly right. There’s also many little effects and incidentals thrown into the album to give it the concept-album feel, though it just comes across as silly effects that don’t add to the overall album experience. ‘Love, Lust, Faith + Dreams’ is simply a big flop of 2013. There’s some moments on the album that seem to work, though the overall album experience is one that is simply not worth delving into. It is admirable that the band are trying new things, though it seems there is a lot they need to learn first before it all starts to pay off for them. 30 Seconds To Mars have shown they’re capable of writing brilliant songs in the past, with their hits ‘The Kill’ and ‘From Yesterday’ being brilliant tracks from their early career, that fitted well with the current trends of music tastes of the time. It’s a shame then that they’ve not been able to deliver on their latest album, where nothing seems to stand out to the same extent as their early hits. In fairness, it does some some interesting ideas from the band, though it is ultimately a poor album that fails on many levels. 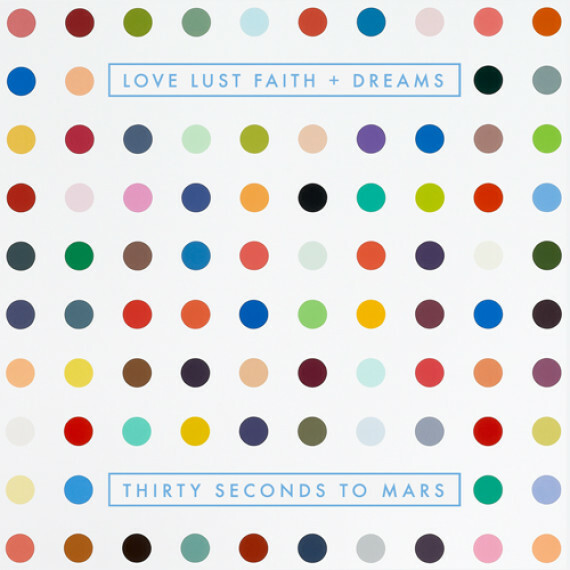 30 Seconds To Mars’ 4th album ‘Love, Lust, Faith + Dreams’ is out now, and can be purchased on Itunes. Watching the maturity and range of talent from certain musicians, from their first album to their latest, is always a refreshing thing to see. Especially when the musician in question continues to advance in a way where their music becomes much more creative over the years, showing off the incredible talent as it matures and blossoms. Laura Marling in particular is one such musicians, whose albums have seemingly become more and more mature over the years, offering some incredibly emotive and creative music that seems to just get better with each album produced. On Marling’s latest album ‘Once I Was An Eagle’, we see the musician crafting one of her most delicate and poignant albums so far in her career. Marling has shown some amazing talent and creativity over the years, as well as an outstanding amount of maturity with each album she releases. There’s a fair amount of artists who over the years, when they’ve attempted to show maturity have seemed to just fall short. Marling though, embraces each coming year, and seems to add every experience together in order to craft personal songs that are wonderfully presented. Her latest album features wonderful instrumentation that is delicate and gentle for the most of the album. Marling lets her voice present her lyrics and stories, letting her own natural talents come out easily. It’s in some ways, the typical singer-songwriter formula, though for Marling, it is simply perfect as it all just comes together brilliantly on her album. I’ve sometimes felt that Marling is able to produce some wonderful songs, but the overall album experiences tend to fall flat at times. On ‘Once I Was An Eagle’, each song contributes to the overall album experience brilliantly, with there being few weak moments. The only flaw I find on the album is the running time, with there being one or two songs too many on the album. Each song works well on the album, though people mind find it hard to commit an hour of their time to listening to each and every song. It comes down to people’s attention-spans at the end of the day, though it still remains a problem when the album is considered with a wider-audience. It’s only a flaw for those who simply can’t manage the long running time, which is a shame as it is arguably one of Marling’s best albums to date. ‘Once I Was An Eagle’ is a near-perfect album. Over the years, Marling’s style has shifted with each album, slowly morphing herself into the person she is today. It’s wonderful to see a musician as talented as Marling manage to progress in the way she has, whilst being able to produce great albums. ‘Once I Was An Eagle’ is perhaps one of Marling’s greatest albums so far in her career, featuring some wonderful songs that are delicate, lovely, and at times just a little bit dark as Marling is known to do sometimes. It’s a refreshing album, that just pushes Marling further and further down the right path. Laura Marling’s fourth studio album ‘Once I Was An Eagle’ is set for release on 27th May 2013 in UK, and 28th May 2012 in US/Canada. Within the ‘indie’-rock genre, there is an incredible amount of scope for creativity, with there being options for creativity and ingenuity. Bands have the capabilities of offering something new to broaden the scope of the genre. It seems most people in bands opt for the easiest option of just doing the bare minimum in order to get by. It’s why there’s so many bands out there that fall flat with their music, as it just offers absolutely nothing new. However, I’d argue that there is another option in music than just being new and inventive, and that is simply having your own appeal in the music you create. Some music is good just because it is, even if it doesn’t really do anything incredible or new. If you haven’t guessed by now, The Spills’ latest EP ‘Spooky Roller Disco’ is exactly this, with there being something really good about the music, but nothing that is inventive or different. Some bands just happen to pull these kinds of things off, and they earn there place in the various genres as good bands that just work. I kind of feel that most of these bands have to earn that respect though, and that in the independent scene, it is important for there to be something that stands out. The Spills though, don’t seem to do anything incredibly ingenious or inventive, and yet their latest EP is an incredibly catchy and stand-out EP, containing some simple yet brilliant music. There’s loud crashing guitar lines, accompanied by vocals that strain to the point of breaking at some points. At various moments some brilliant guitar solos accompany the crashing drums and bass guitars, and it in essence, just works incredibly well. 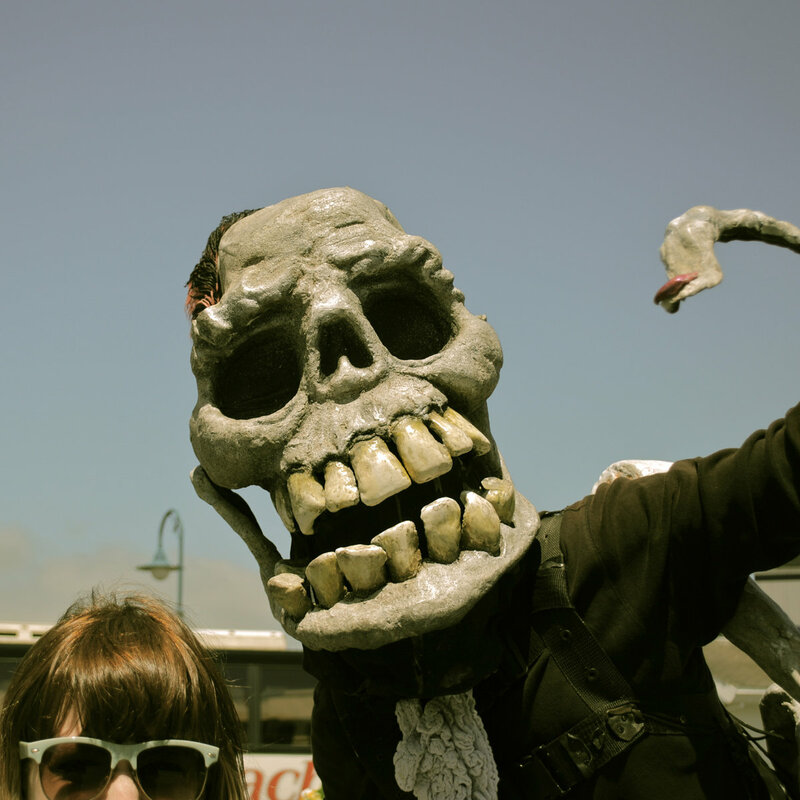 ‘Spooky Roller Disco’ is simply a great EP, featuring some brilliant alternative-rock music that wouldn’t sound out of place on a Tony Hawks’ pro skater soundtrack. The bare basic elements of the EP just work, giving The Spills a lot of appeal. There’s an incredible amount of energy underneath the layers of dirty sounding guitars. The EP certainly gives off the sense that the bands’ live performances are probably incredibly charged and loud performances. It’s simply brilliant, and surprising as everything sound completely amateur at the same time. There’s nothing wrong with this though, as the amateur sound can work in some occasions, and in The Spills’ case, it works incredibly well. The EP is of course, flawed in places, with a few nicks here and there needing to be cut out or rearranged. It seems though, that many elements work on the EP to make it a brilliant sense of what the band is capable of. I wouldn’t hesitate to call the band amateurs, as they are within the independent genre. However, I use the term amateur to simply describe that the band hasn’t broken into mainstream success, and are not professionals at the moment. Beneath all the layers of dirty sounding clanging guitar lines, and fuzzy guitar riffs, crashing drums and cymbals and booming bass, there is something lying there that simply gives the band an incredible amount of appeal. Something is exuding from the band that simply makes their music work in its own respective way. It is music that isn’t necessarily trying to do anything special, and it honestly doesn’t need to either. Whatever it is The Spills has that’s working for them, it is clearly working. They honestly don’t need to do anything more than continue to be themselves, and let their music simply be their own. ‘Spooky Roller Disco’ is simply an incredible, roaring, loud and brilliant EP, that seems to bring up the true essence of what the indie genre is really all about. 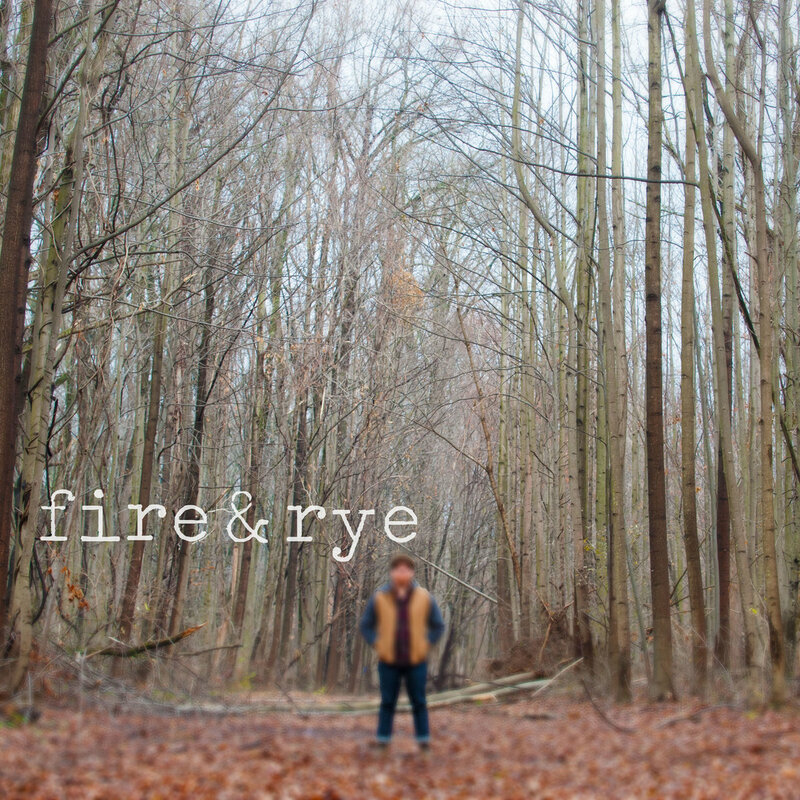 The debut EP by alternative-rock band Fire & Rye features some incredibly pumped up songs that are in some ways, a cut above modern indie-rock bands. On their self-titled release, the band offer 5 tracks to introduce themselves into the music scene, which is plenty of time for their talents and style to be presented. There’s many elements that seem to work incredibly well on ‘Fire & Rye’, which features brilliant tracks echoing traditional rock elements with the alternative rock slant. It is in some ways, sort of typical sounding soft-rock music, but at the same time there is a wonderful amount of appeal to Fire & Rye, with their debut EP sounding simply brilliant. On ‘Fire & Rye’, there is a sense of roaring rock music, which is also balanced out by elements of softer playing. It seems to echo back the styles of early Biffy Clyro material, with the music reaching up to some brilliant heights. There’s some incredibly impressive elements to the EP, which demonstrates some great instrumentals. There’s some great guitar riffs that push the music along, all the time accompanied by slightly-better-than-average vocals, which whilst being almost-average, still work incredibly well for the band’s style. It is an impressive debut effort, and one that goes from strength to strength as the EP progresses. The only problem I find on ‘Fire & Rye’ is the somewhat shaky start that the EP begins with. It seems that it takes a little while for all of Fire & Rye’s elements to come together in a way that works, and until then, there’s some shaky moments to get past. When the music works, it really works, but it seems to take just a little while for it to be understood. The lucky thing for Fire & Rye is that the EP does pick up incredibly quickly after the slightly weak beginning, and when it does, the music comes across brilliantly, presenting all the strengths of the band in fine form. All in all, ‘Fire & Rye’ is a very impressive debut effort, featuring some brilliant alternative-rock music that just works in most respects. There’s some good composition at work here, which utilizes many of the strengths of the genre in fine form. It seems that Fire & Rye have their own appeal as well, with their music not sounding like direct copies of other bands. If any comparisons are to be made, it seems they’re more in reverence rather than plagiarism. As it stands, ‘Fire & Rye’ is simply a brilliant EP, and one that is a perfect introduction to this sadly, unknown band, who can certainly achieve some great heights in the future. The second solo-album by musician Mikal Cronin offers a common experience of balancing fairly charged rock-orientated tracks, with more traditional down-tempo tracks. It’s a common practice amongst most alternative-rock artists, though it is perhaps the easiest way of providing diversity for an album, and giving it a balance. In Mikal Cronin’s case, on his latest solo-effort ‘MCII’ (Mikal Cronin 2 if you didn’t guess), it works well for him, with Cronin taking traditional elements of singer-songwriting practice, and attempting something less traditional in terms of the presentation. The result of which makes ‘MCII’ a fairly interesting album, that is enjoyable, fun and to some extent, a little bouncy. To some extent, Mikal Cronin’s music is incredibly common, in that it doesn’t really do anything at all to break boundaries. It is, however, honest music at heart, which gives it a lot of charm and character. There’s some fairly charged moments as well, with ‘MCII’ starting off to a real roaring start, before becoming balanced with various other styles and different presentations. It’s technically basic music, though there’s something there underneath the layers, that is simply charming and fun. The more pumped up tracks feature fun moments that are just simply enjoyable, whilst the more down-tempo numbers are simply nice. Whilst ‘MCII’ is an enjoyable record, featuring some very nice tracks, it is an incredibly underwhelming record that contains very little impact. Whilst some tracks are more pumped than others, they’re not roaring up to the extent where they’re incredibly enjoyable. Everything seems to just be under-played, giving the whole record an almost lackluster feeling. At various times, the music seems to be hearing up towards certain directions, but then never seems to reach it at any point. On top of this though, the whole record is so underwhelming that it’s actually hard to truly care whether the music is working or not. There’s some elements that work nicely on ‘MCII’, and there is an honesty that is charming and admirable on the record. It just seems that there’s not enough on the record to make it a truly good record. Cronin himself doesn’t seem to have as much charisma that is really needed to make the music on the record really stand out, and as a result, most elements seem to fall flat. There are still some enjoyable songs on the record though, and in fairness, it is much better than some records that have been out this year, not just by independent artists, but by mainstream artists as well. ‘MCII’ is simply an average album, that is in a way, inoffensive, but at the same time, nothing too special. Mikal Cronin’s second solo album ‘MCII’ is out now and can be purchased on Itunes.